Jellyfish are amazing creatures. These gelatinous, free-swimming non-vertebrates are among the oldest groups of animals on earth. They’ve been around for over 500 million years, and can be found in every ocean in the world, from the surface to the deep sea. Masters of survival, they have endured every major extinction event since the Cambrian period. But the thing is, while they’re really good at surviving in the open ocean, they’re not so great at living in tanks. They’re just not built for it, so without the right kind of aquarium, they typically don’t survive for very long. That’s where the JellyTank comes in. This sucker was built from the ground up to be an ideal habitat for your captive jellies. 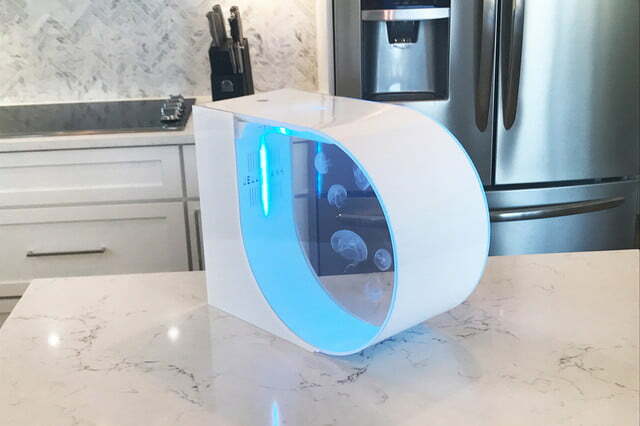 It features a proprietary shape and a custom-designed pump that work together to provide a gentle flow similar to what jellyfish would experience in their natural environment. On top of that, there’s also an integrated filtration system that constantly keeps tabs on the water quality, and a set of color-variable LEDs you can use for lighting. Want to grow your own produce, but don’t have enough space for a garden? Check out Herbert: a hydroponic vertical garden that allows folks in even the most cramped apartments to grow fresh organic food. 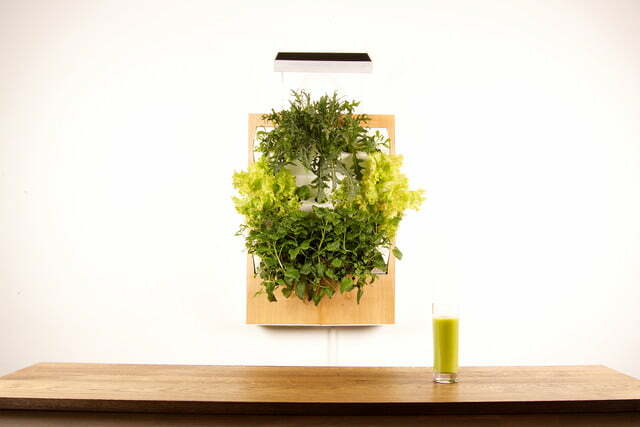 It’s the latest product to be released by Ponix Systems, a company started by self-described “tech freaks and urban farmers.” With a vision of bringing vertical farming solutions to the people, Ponix hopes that the Herbert system will help foodies and environmentalists everywhere grow their favorite fruits and vegetables year-round without the need for herbicides or pesticides. For those without a green thumb, the Herbert can help. To start farming, simply place a seed into one of Herbert’s biodegradable sponges, add water and biomineral fertilizer to the tank, and sit back. According to the Ponix team, this vertical farming method requires 90 percent less water, though it yields 40 percent more harvest when compared to traditional farming, as your garden stays safe and protected from the elements. Even if your space doesn’t get a lot of sunlight, Herbert can still grow food. The setup features its own proprietary LED technology that adjusts to provide your plants the exact wavelengths of light they need for optimal photosynthesis. Flashlights are a handy thing to have with you at all times, but most people will agree that lugging around a full-size (or even somewhat compact) flashlight is a bit of a pain. More often than not, it’s easier to skip the flashlight altogether and just use an app on your smartphone. But what if there was a flashlight so small that you’d hardly even notice you’re carrying it? That’s where the Bullet 02 comes in. 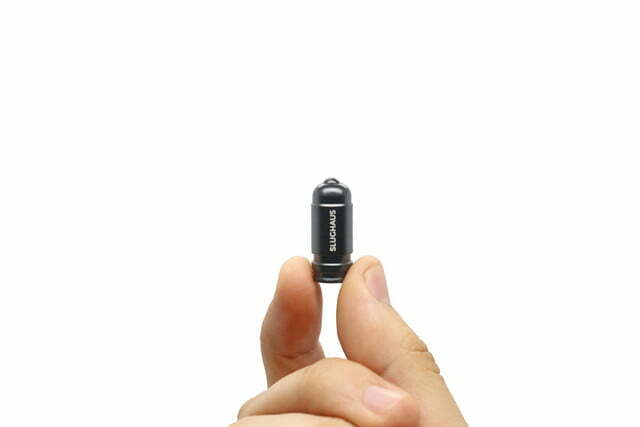 Its creators claim that it’s the “smallest LED flashlight in the world,” so it’s ideal for fitting onto a key chain or throwing in your pocket without adding unwanted bulk or weight. The bullet-shaped light measures just 10.5mm x 30mm, and it weighs just 6 grams, thanks to a design that uses ultra-lightweight aerospace-grade aluminum. It’s also water-resistant, so it can be used in rain, sleet, snow, and pretty much any other kind of inclement weather. The device is being funded right now on Kickstarter, and you can get your paws on one for just $10 if you back the project during the early stages. If you always find yourself forking out for excess baggage every time you take a flight, then an Aussie-based startup has come up with an ingenious solution that’ll have you confidently packing the kitchen sink for your next trip. The “Airport Jacket” is, for all intents and purposes, a wearable suitcase. With a whopping 14 pockets and two detachable pocket panels capable of taking up to 15 kgs. (about 33 lbs.) of stuff, your only concern will be ensuring your legs don’t give way as you stagger toward the check-in desk. Crucially, the jacket — with all the stuff inside — can be quickly transformed into a small bag (with handles) so you only need to put it on when you arrive at the airport. Once you’re through check-in and on the plane, you can fold it back up again before throwing it into one of the overhead bins. Just don’t be surprised if you get stopped by TSA for longer than usual. It’s not exactly the most inconspicuous thing you could wear to the airport. Remember netbooks? They were all the rage a few years back, but the fad seemed to die out as a new generation of tablets and 2-in-1s gained popularity. But the miniature laptops haven’t died off completely, and GPD’s newest product is proof positive of that. The GPD Pocket, as its called, is an ultraportable and ultracompact netbook, presumably designed to compete with all the other mobile computing options available today. With a phablet-sized screen an full qwerty keyboard, it’s small enough to fit in a pocket, yet big enough to function like a small Windows 10 laptop. The Pocket runs everything with an Intel Atom x7-Z8700 CPU with 4GB of RAM and 128GB of storage. That’s not going to break any performance records, but it should be suitable for web browsing and productivity tasks. A 7000mAh battery should keep things running for a few hours, at least. In addition, GPD gave the Pocket a very MacBook-like magnesium alloy chassis that measures a diminutive 180mm x 106mm x 18.5mm, and it weighs a relatively light 480 grams. 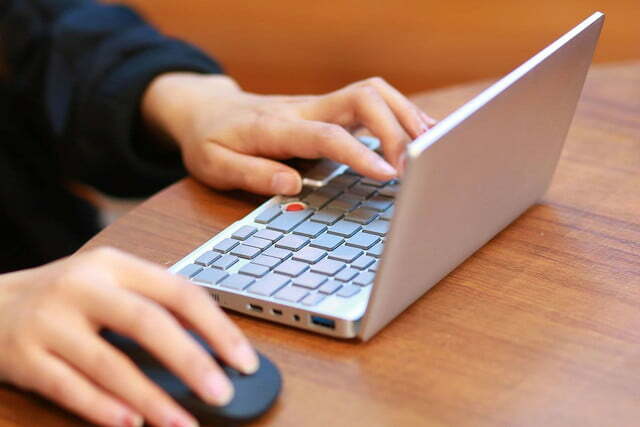 It has a tiny keyboard and a red nubbin for controlling the cursor, and connectivity comes by way of a USB Type-C port, a USB 3.0 connection, and HDMI. Wi-Fi is 802.11ac and Bluetooth 4.1 rounds out connectivity.